Electric vehicles are all the rage right now. Sadly, most of that is hype, rather than any actual concern for the true benefits of EVs. There is not much we can do about it – Elon Musk is just an awesome marketer. However, there are some solid reasons to go with an EV, not just ad tricks. Although the basic function of most cars is pretty much the same, people still have different needs. Maybe you want a small vehicle to park anywhere in a crowded city. Or you want a bigger one to suit your entire family. Or you constantly have to drive longer miles and you want a heftier battery. Because of all these things, no one can say that a single EV rules them all. In fact, it is hard to even tell which ones top their respective categories. Just think about it. Most electric cars are mainly marketed as efficient and clean, right? That is nice, but these are not the only things that matter. What about the above factors? Let’s make it simpler. You want to drive a clean car, and you want to spend less doing it. You also want it to have some other good qualities as well. So below I have a few picks, each suited for different needs. And while these may not be the best EVs per se, they do come ahead in various ways. Shall we take a look? I want to start this list with a vehicle that is somewhat affordable. Sure, I could have listed all the expensive models out there and tell you “here, go buy that”. But for most of us, such vehicles would be outside our budget. The Bolt is not. This car is an awesome piece of engineering that puts the majority of its competition to shame. You can get it for around $30,000, but what it does far outweighs its price. If you need a vehicle, which you can drive around without worrying too much about charging, that would be it. Chevrolet Bolt EV is capable of going 238 miles on a single charge. The first Nissan Leaf, another EV option, could only go one-third of that but used to be one of the most popular electrics for such a price. The Bolt is also decent in size and could pass for a small utility car. It is not quite a minivan, but it does the job. Plus you will not be stopping for recharges every hour. This category was a tough one. I could have picked several vehicles for this spot. The new Leaf is fine, and affordable, but not that small. The Kia Soul is a little bit closer, but still lacks what I am looking for. This is where the BMW i3 steps in. Firstly, this is not exactly cheap. You can likely get it for around $40,000 depending on the tax break. Secondly, it is by far not the best all-around EV. It does not have the best mileage, nor is it the fastest. Or the prettiest. But it is decently small! Yes, there are smaller EVs, but they all have way too many drawbacks in my opinion. Fiat 500e, for example, has no fast charging. The same thing applies to Smart Electric Drive. It does not help that these are also too small. I could argue they are not actually all that practical, even for the city. And they lack the luxury staple of BMW. Because of the above, the BMW i3 seems like a great choice. It is small enough to fit in tighter spaces but large enough to carpool with it. Did I mention you can squeeze 129 miles out of a single charge in urban conditions? The i3 it is! If you ask me to be completely honest, this is the car that I would get. It is not the most practical, it is not the cheapest, and it is not a top model. But come on, it is extremely cool! 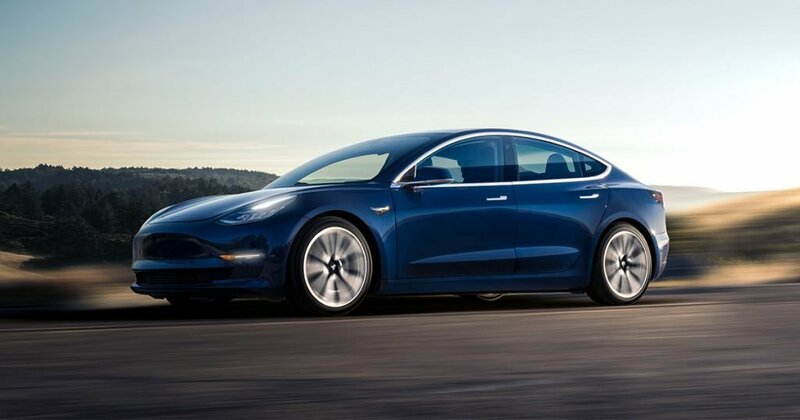 I feel like a child that just wants its toy when I see the Model 3. Can I have it for Christmas? Well, maybe not. The Model 3 is a fine EV that can take you on 300-mile trips. You just have to pay for the bigger battery. And request the car first. And get in line, because that is how Tesla works. Did I mention the waiting periods? Weeks, months, perhaps even years. Quite unreasonable. Right now Tesla has major problems manufacturing the batteries for these cars. It is not like you cannot get it somehow. Perhaps you can stalk the used market. Or you can be far-sighted and order it now so that you can have it just when your current lease is up. However, these solutions are suboptimal. If you wanted to wait, you could just grab the next big EV release, right? And yet, I have to mention this vehicle because if we just look at the specs, it does everything right. It is just a well-rounded car. Not a family one, but it can take your children. You won’t be racing with it, yet you can enjoy great acceleration. It would have been perfect if the company was not shooting itself in the foot with their production times. The true family EV – Who takes the spot? In my opinion, a family EV has to cover certain things. It needs to have enough room for at least 5 people AND all the baggage that comes with them. And then comes mileage. Are you willing to go on a trip, while having to recharge every hundred miles? Can you consistently find places to do that? I am not sure. So this kind of vehicle needs to get you beyond the 200-mile mark. With all that in mind, which EV out there passes these two tests? Only the Tesla Model X, and that is outrageous. Because the Model X is way too expensive. In essence, it is a luxury vehicle. So for all intents and purposes, you are left without a choice – either go expensive or no EV for you. I am not saying the Model X is a bad car. It is awesome. If you can afford it and like it, go for it. However, for the majority of people, it is nowhere near a comfortable price range with its $80,000 tag. A quick search will show you that most family cars target the sweet spot of $30,000-40,000. So here is my honest take: As of now, no EV can take the place of your current family vehicle. Which is part of the reason why EVs are not replacing conventional cars yet. Will they ever? It is possible, but things are still unclear. With all that being said, I do not see anything wrong with jumping on the bandwagon. Especially if you are in a city with proper charging stations. You can drive cheaply, and frankly, you do not have to worry about maintenance all that much. These are major pros that are hard to beat. Sure, a family EV is virtually nonexistent yet, but not all people want one anyway. So, what do you say – are you going to get an electric? Buying your EV – how hard is it? Car prices can vary significantly from state to state. And dealerships do not make things easier. This is one of the reasons that Tesla markets straight to consumers. That, however, has problems of its own. So you may be stuck in a tough situation – you want an EV, but you do not know where to buy it. My general recommendation is to look online. Look at out-of-state places that sell such vehicles as well. If the price is good, what is stopping you from taking the step? The only thing you will have to worry about then is transportation. But you can drive the car, or what I believe is the better solution – you can ship it. Shipping your EV is an overall great choice. You will not waste time or have to worry about charging stations on the way. Because, honestly, that can sometimes be quite frustrating. The charging network is getting better, but some places still have to catch up. If you want to consider auto transport, we from Corsia Logistics can offer you a free shipping quote right now – no strings attached. Reach out to us and we will bring your newly bought EV straight to you!